The recent decision by the New York Supreme Court Appellate Division in J.H. v. New York City Health and Hospitals Corporation, 169 A.D.3d 880 (NY App. Div. 2019) answers the question of whether a plaintiff can serve late notice of a claim upon a hospital operator. At issue specifically in J.H. is whether or not a plaintiff, when there is actual knowledge and an absence of prejudice on part of the defendant, can be granted leave to serve late notice of a claim despite lacking a reasonable excuse. Under New York’s General Municipal Law § 50–e[a], service of a notice of claim is a condition precedent to bringing suit against a public corporation and requires that the notice is served within 90 days after the claim accrues. Unless leave of court is made, late service of original notice of claim is a nullity. Additionally, after the statute of limitations has run courts lack the authority to deem that late notice of claim timely served nunc pro tunc. The statute of limitations under General Municipal Law § 50–e[a] provides that the limitation period for commencing a tort action against a municipal corporation is one year and 90 days, however, in cases such as J.H., the statute of limitations does not expire after one year and 90 days because a plaintiffs infancy tolls the statute of limitations for 10 years. The baby’s family brought this action against Elmhurst Hospital Center for medical malpractice allegedly committed by the hospital during its perinatal care and delivery of him. As a result of the hospital’s alleged negligence, the plaintiff suffered brain damage that caused cerebral palsy due to perinatal and neonatal asphyxia. The plaintiff was born via emergency caesarian section on November 25, 2010. Two days prior to delivery on November 23, 2010, the plaintiff’s mother, at 40 weeks and four days gestation, went to the emergency department where she presented with pain, diminished fetal activity, and vaginal leakage and was later discharged that same day. The plaintiff alleged that given his mother’s symptoms that day, including hours of non-reassuring fetal heart tracing, it was a departure from the standard of care to discharge her that day and that the hospital also departed from the standard of care by failing to expeditiously perform an emergency cesarean section when his mother returned on November 25, 2010, with contractions. The plaintiff served the defendant through certified mail with a notice of claim dated August 29, 2013 for which the hospital acknowledged receipt. The plaintiff commenced this action in March 2014, to recover damages for the injuries he allegedly suffered from the hospital’s negligence. In September 2016, the plaintiff moved pursuant to General Municipal Law § 50–e(5) for leave to serve a late notice of claim or to deem the notice of claim he had served on August 29, 2013, timely served. The plaintiff argued that the hospital had knowledge of the essential facts for which the claim was based within the 90-day statutory period or a reasonable time after through its records making its malpractice clear and that the hospital was not prejudiced by any delay. The plaintiff failed, however, to offer a reasonable excuse. The hospital then cross-moved and was granted a motion to dismiss the complaint for failure to serve a timely notice of claim which the plaintiff appealed in the underlying case. Under General Municipal Law § 50–e(5), the decision to grant leave to serve a late notice of claim or deem a timely late notice of claim served nunc pro tunc is within the discretion of the court. What does this mean? It means the court has a lot of latitude to make the call and it will be tough to overturn on appeal. Factors the court will consider when determining whether or not to allow a late notice of claim include if the corporation had actual knowledge of the essential facts constituting the claim within 90 days of its accrual or a reasonable time after, if the delay would substantially prejudice the corporation in its defense, and whether the plaintiff has demonstrated a reasonable excuse for the delay. The presence or absence of any factor is not determinative. But actual knowledge is a very important factor and accorded great weight. Merely having records without more does not establish actual knowledge, but actual knowledge of the facts constituting the claim can be constituted where the alleged malpractice is apparent from an independent review of the medical records. Really, what the court is trying to figure out is whether the underlying purpose of the notice statute has been served. When the court applied the above principles to the underlying case they found the plaintiff had included medical records and an affidavit from an expert who concluded there had been a departure from the standard of care in support of his motion. The medical records arguably demonstrate the hospital’s failure to admit the plaintiff’s mother when she was in the emergency department on November 23, 2010, despite an order by an emergency room physician to admit her. Additionally, the records demonstrated that on November 25, 2010, the plaintiff’s delivery was delayed until a fetal heart monitor alarmed four times, nearly an hour after they had arrived. The court determined these records, upon independent review, sufficiently provided the hospital with actual knowledge of the essential facts constituting the claim. Additionally, the court found that the plaintiff had made an initial showing that the hospital would not suffer any prejudice by the delay in serving notice of claim, which the hospital failed to rebut. While the plaintiff did in fact lack a reasonable excuse, because there was actual knowledge and an absence of prejudice, the court held on appeal that that Supreme Court had incorrectly used its discretion to deny the plaintiff’s motion and grant the hospital’s cross-motion to dismiss because, with the other two factors present, a lack of reasonable excuse is not enough to bar the granting of leave to serve a late notice of claim. Maryland has notice rules against state actors but we do not have a lot of state hospitals. 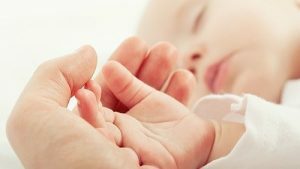 If you are handling birth injuries cases outside of Maryland, as we do, you have to know the ins and out of the state’s statute of limitations while also keeping an eye out for the notice requirements. This is why we do the research ourselves AND get local counsel on board quickly when we handle a case out-of-state.